This week we have LG Watch Sport and Style, TomTom Touch Cardio, eMicroOne scooter, Beoplay H4 headphones and more. 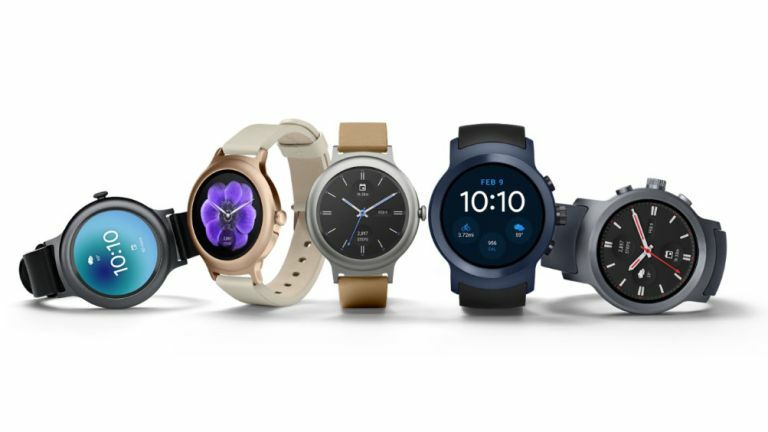 This week LG has teamed up with Google to reveal the latest Android Wear 2.0 operating system along with two new wearables, the LG Watch Sport and LG Watch Style. While the Style is about the look, the Sport packs in the specs with GPS, heart rate, NFC and even network connectivity all right there on the wrist. Check out the watches at the link and more on the OS at the link below that. Bang & Olufsen has taken its already impressive headphones and reformed them into the new Beoplay H4 cans that offer the quality you’d expect but at a lower price you might find surprising. The more affordable headphones are priced at £249 which gets you lambskin ear cushioning, 19 hours of battery on a 2.5 hour charge, button controls and of course top quality sound. The great look is just a bonus. This week TomTom unveiled its Touch Cardio wearable. This affordable £90 device is made to track steps, calories burned, heart rate and more - all while showing off the data on an OLED display or via the TomTom Sport app. The Touch Cardio also offers sleep tracking and a comfortable fit so you don’t even need to worry about taking it off. This could be the ultimate electric personalised transport system from Swiss brand Micro. The eMicro One offers a 15mph speed for up to 9 miles thanks to its 500W electric motor and battery that charges to full in just one hour. Despite being so powerful the eMicro One is just 7.5kg and will set you back £750.